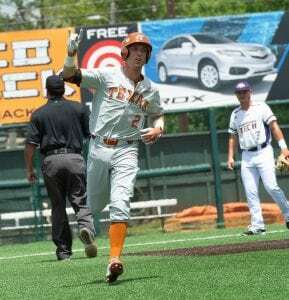 Solo homerun by Kody Clemens in the 3rd inning. 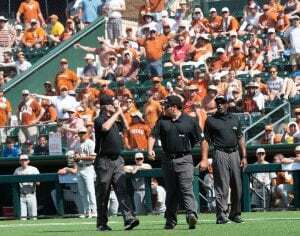 No question on this one! 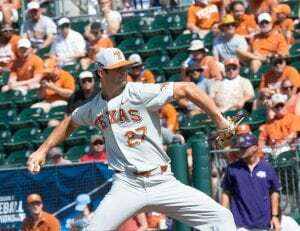 Case Shugart was the winning pitcher-an awesome outing. 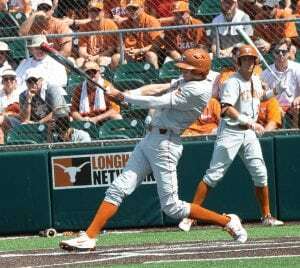 Jake McKenzie scores off a Ryan Reynolds double. 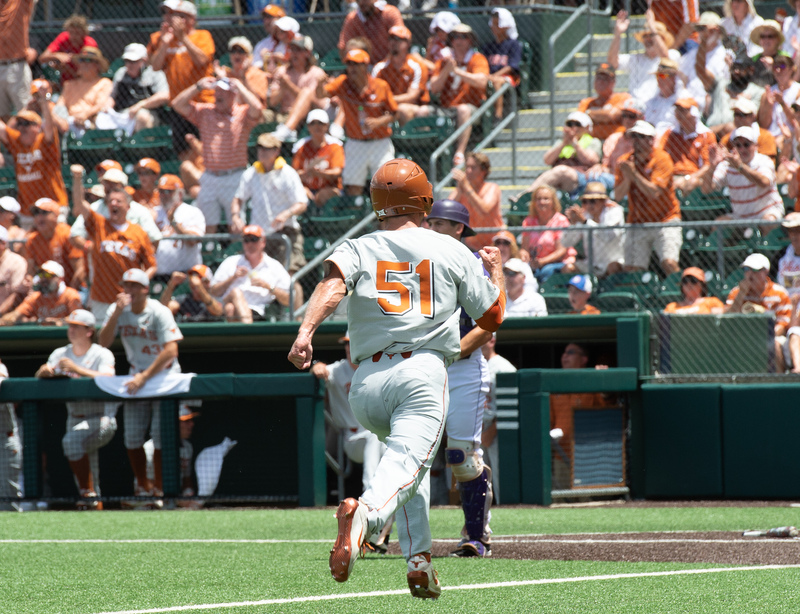 Tate Shaw scores off the Duke Ellis double. 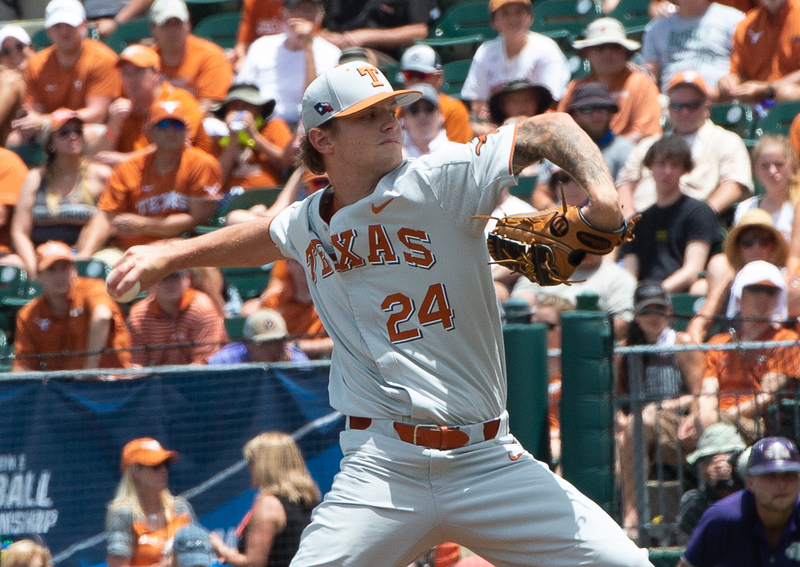 Blair Henley entered in relief in the 7th-gave up a solo homerun on his first pitch but finished the game without allowing anymore runs. 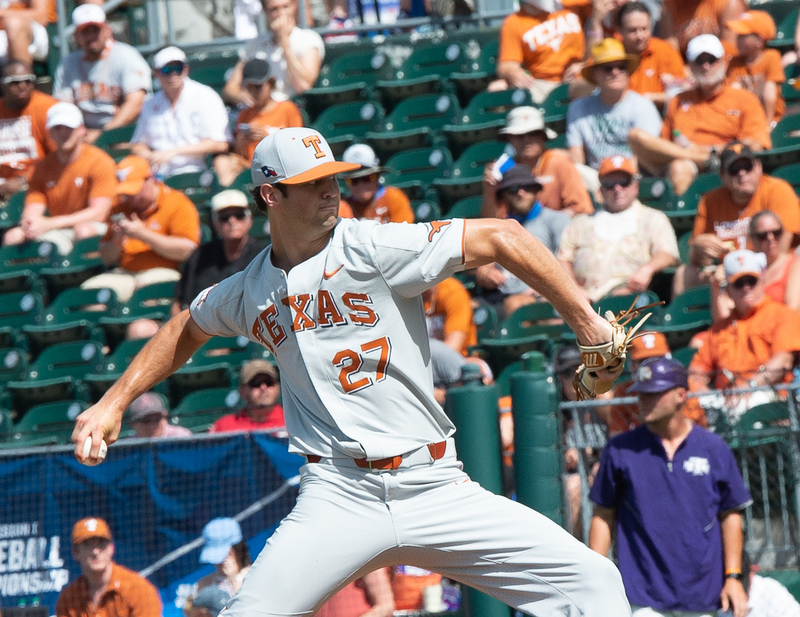 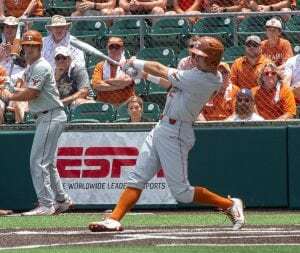 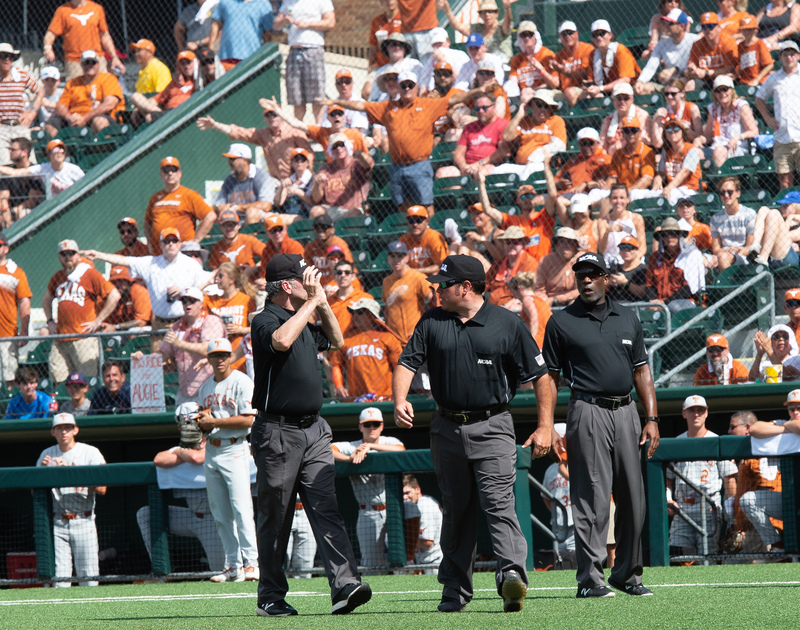 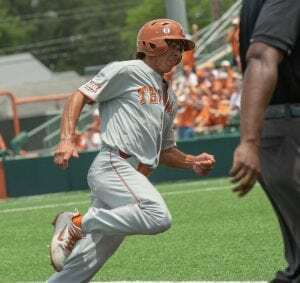 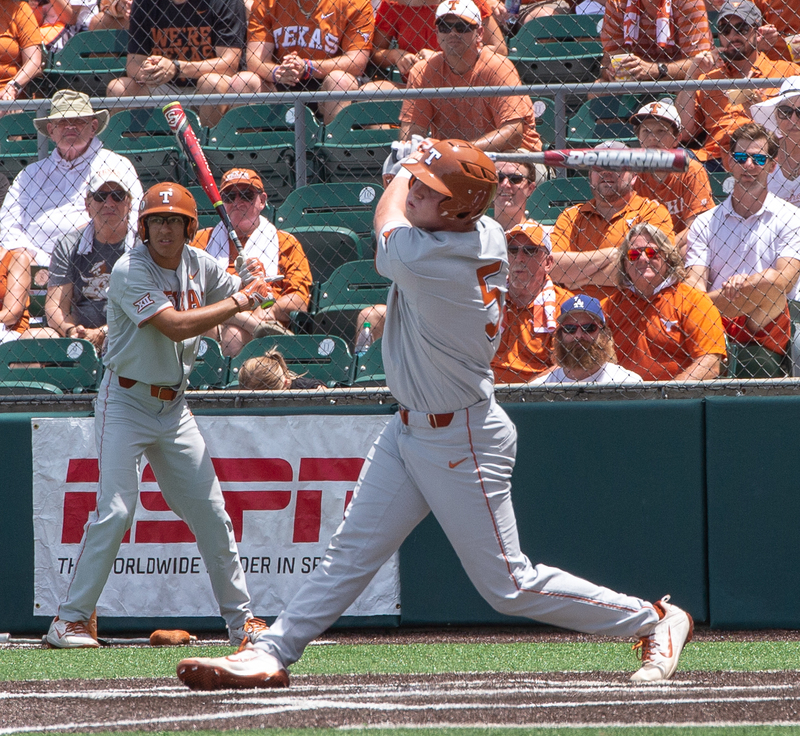 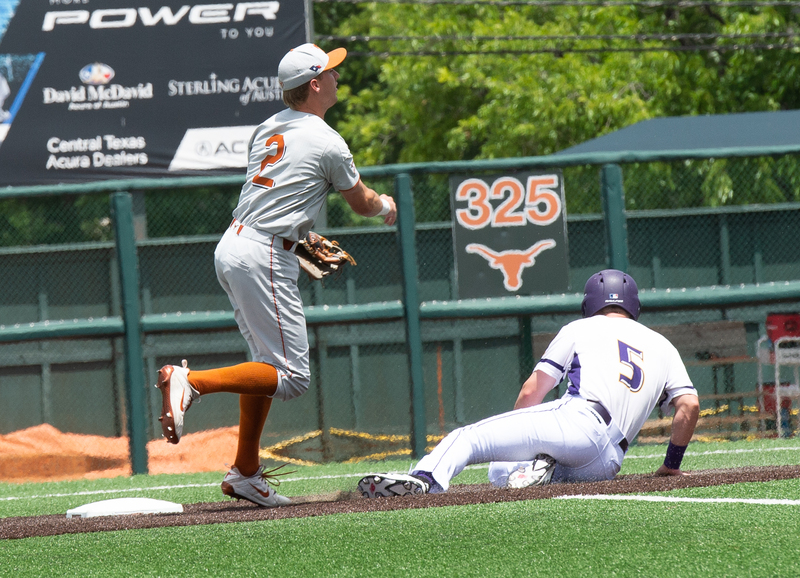 A review of an outfield catch and out by Tennessee Tech was not well-received by Texas fans--the call was upheld. 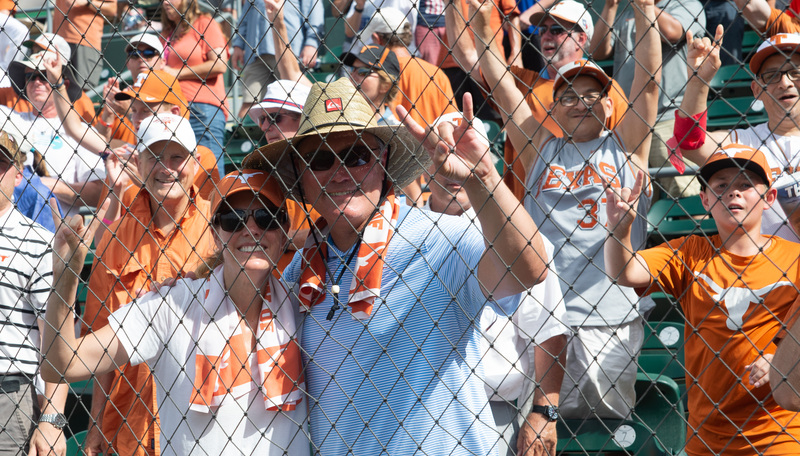 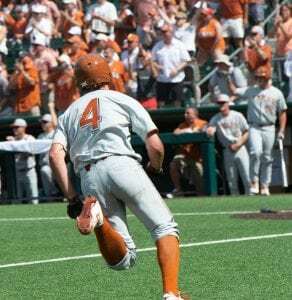 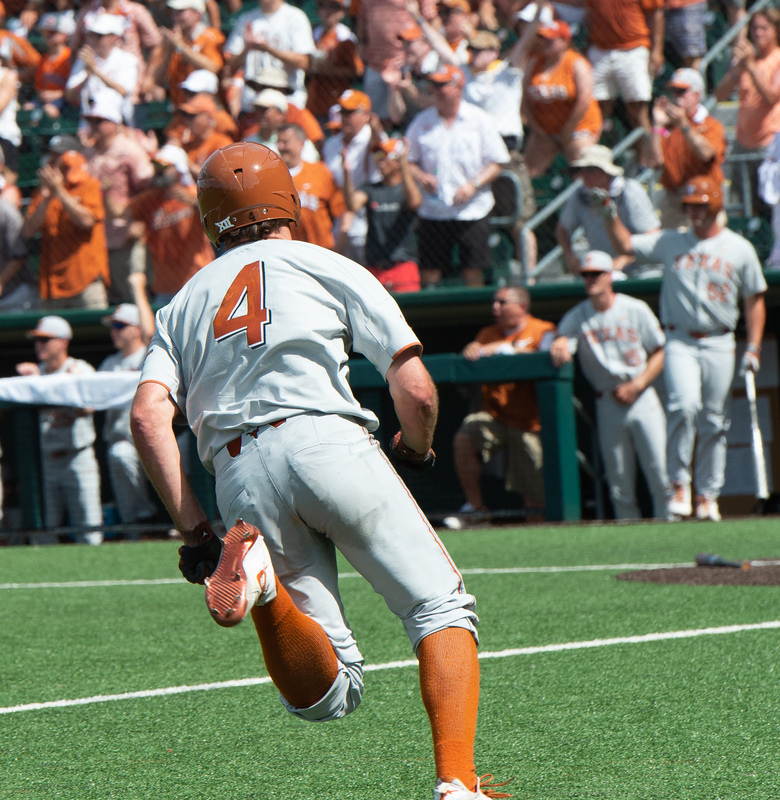 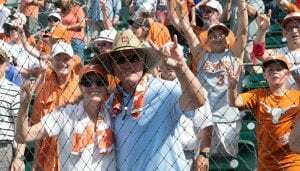 Texas fans are happy over win--and a 3rd game for Monday! 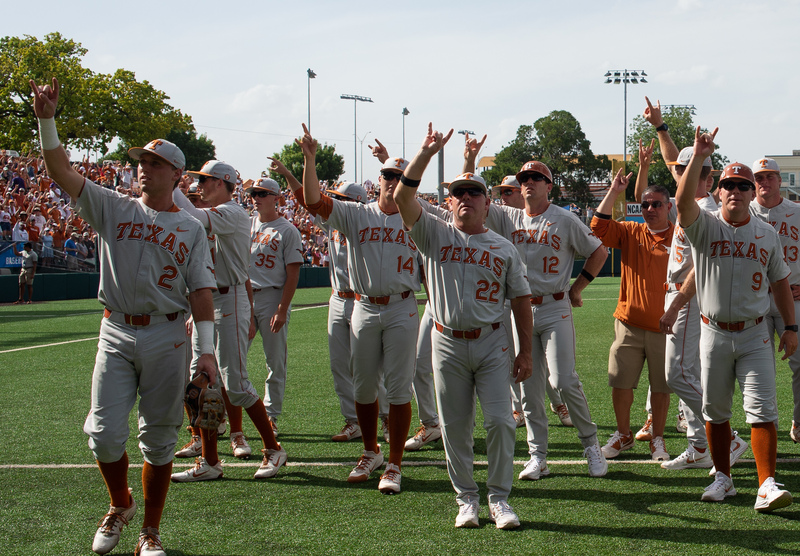 Kody Clemens, Coach David Pierce and the Texas Team with The Eyes of Texas A Texas win! 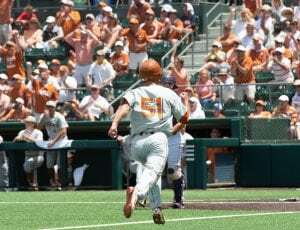 HookEm!